IMPORTANT! You must compare the cutout on the glass with the diagram below. 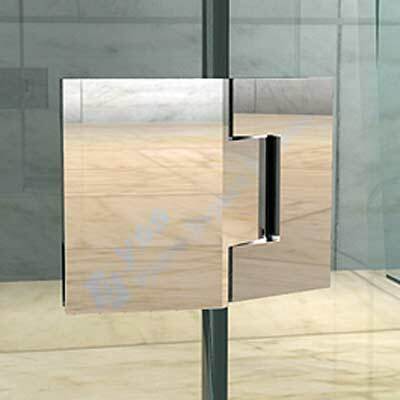 Measurements must match exactly otherwise these hinges are not compatible with your shower screen. Spring-loaded, glass-to-glass hinge at 135° angle.